Our Cancun tours are hosted by friendly and knowledgeable guides and tickets are very reasonably priced. Making a reservation with us allows you to avoid hassles while you are traveling and frees up valuable time to enjoy more of your vacation. 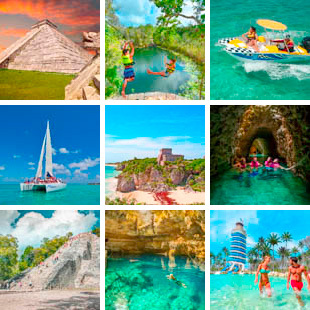 Learn more about the Mayan culture while you stay in Cancun, Playa del Carmen or Riviera Maya, explore the natural wonders of the region and discover the magical culture of Mexico. Our Cancun Airport Shuttle vans carry 1 to 10 passengers safely and comfortably. Fare prices are available online on our reservation system. If you are ready to make your reservation or have questions about our service, please, feel free to contact us or give us a call. We have carefully selected the very best tours and excursions available in Cancun, Playa del Carmen and Riviera Maya. The Translamex Affiliate Program allows you to earn money while sharing your love for Mexico. Ask us how to become an affiliate!